Our corrective and advanced treatments are designed to help remedy a range of common skin issues. If you are suffering from any of the following, contact our beauty professional to see how we can help. A gentle, non invasive cosmetic facial procedure that exfoliates & resurfaces the skin. Removing dry & dead skin cells to reveal a smooth & even complexion. A non invasive light skin rejuvenation treatment that is safe & effective. Smartlux promotes collagen & elastin growth in the skin making it perfect for anti-aging & fine lines. Your skin will look & feel plumper, smoother, clearer & healthier. Our Ultralite IPL machine is the latest in skin rejuvenation. It has the ability to restore sun damage & remove age spots as well as pigmentation discolouration. Rejuvenate your skin tone & texture with minimal pain & no damage to the surface of your skin. Prices get you a series of 5 treatments. Initial consultations are free of charge. We are proud to offer Dr Tyson Sheean’s services (Coastal Cosmetic) here in our salon every 4-6 weeks. He performs Dysport (Anti-Wrinkle) Injections, Lip & Cheek Fillers & Teeth Whitening. Give us a call on 4421 2488 to find out his next available date. This is a treatment for people seeking serious results. 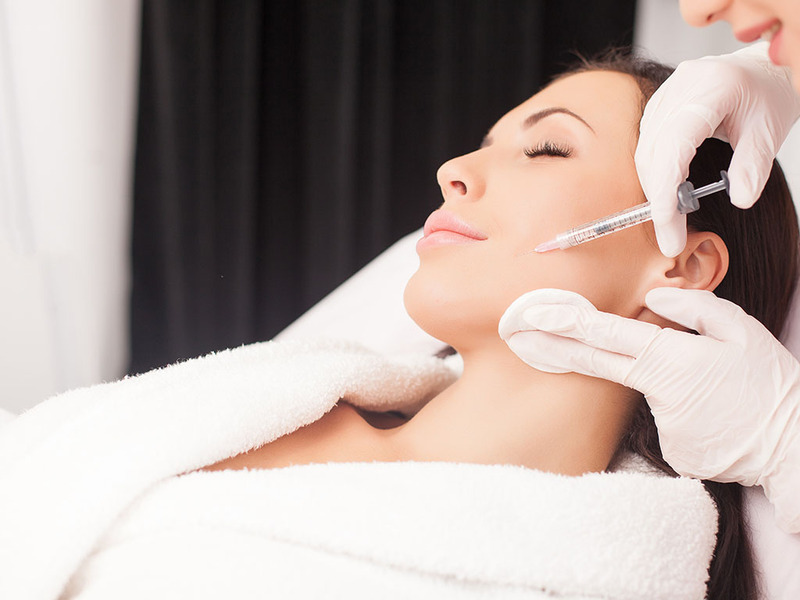 Skin needling is a therapeutic collagen induction & scar rejuvenation treatment. Dermapen allows us to target deep wrinkles & acne scarring. Boz from NuYu visits us every 6 weeks. Her services are great for people who have fair to no eyebrows, pale or thin lips or even people who have difficulty applying makeup. She also specialises in scar camouflage & areola recreation. Visit www.originalnuyu.com.ay for more details. A highly corrective treatment designed to flush away the free radicals that are attacking your skin as well as tone, tighten & smooth. The face is deeply exfoliated & then an application of the DMK Enzyme Mask is applied which brings a fresh supply of oxygen rich blood to the surface of the face in order to nourish the skin. A high performance treatment for dry cracked heels & feet. This paramedical treatment uses highly active ingredients to dissolve thick & calloused skin – leaving behind fresh soft skin. Using your own muscle memory & Danne’s enzyme therapy we can restore your skin to its proper function. We work your skin back to being fit, firm, taught & smooth. This treatment includes an exfoliation, application of the muscle banding enzyme therapy as well as a complimentary hand & arm massage.